Ambassador Daniela Tramacere, head of the European Union delegation to the region, has recently publicly challenged my assessment of the region’s trade agreement with the EU. The trade agreement is called the Economic Partnership Agreement (EPA), and I determined that it was not in the Caribbean’s favour. The EPA actually notes that the contract cannot exceed a duration of 12 months, and the employee cannot remain in the EU state beyond a cumulative period of 6 months. What is the trade impact of these crucial barriers? It essentially disqualifies persons in the construction industry from providing their services in Europe for any project over the scale of a house. The normal profit margin for working on a house would be used to pay for travelling and accommodation expenses in Europe. Therefore, Caribbean construction professionals are unlikely to be competitive in small projects. 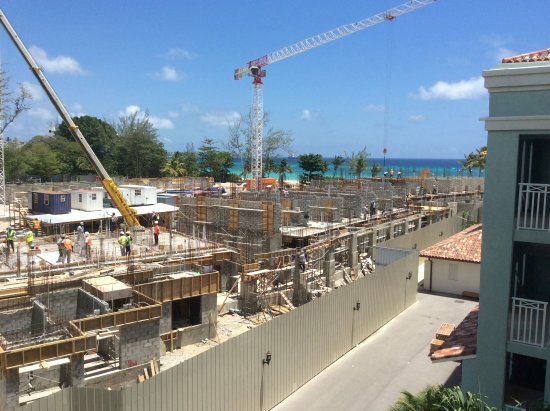 Caribbean construction professionals can be competitive on projects that cost tens of millions of dollars at the scale of a hotel, airport, sea-port, highway, hospital, etc. However, the contract duration of such projects exceed one year – which effectively disqualifies Caribbean companies. Just in case a Caribbean company were to be competitive on a lucrative 11-month consultancy project, the EPA effectively disqualifies that company with the six-month residency limit. A Caribbean consulting company would normally have one highly qualified key professional in each consulting discipline, with several junior professionals. However, in competitive tendering, the qualifications of the most senior staff are used. By limiting residency in the EU to 6 months, the Caribbean company would need to provide two highly qualified professionals for every competitive key post. This would require that the company approach a Caribbean competitor to share the project. Further, it is not like a relay race where one simply hands over the project baton at the end of 6 months. To limit liabilities and mistakes, both senior professional persons would need to be working on the same project from the beginning. This is not only highly inefficient, but it will ensure that the Caribbean’s tender is uncompetitive since it could include double fees for each residency post. Despite the Ambassador’s defence of the EPA, the evidence is clear – after 10 years of the Agreement, the promised benefits have not been realized. Why? Because our most lucrative industry was classified as “sunset”, and sacrificed for the risky “sunrise” cultural industries. The EU actively encourages our risky and least-likely-to-be-competitive “sunrise” industries. Why? Because they have the real prize – construction. Perhaps the Ambassador is unaware that the EU has won and we have lost. I cannot fault her or the EU, for they were negotiating for their interests and not ours. We lost because our approach to negotiating trade agreements is fatally flawed – which the EU negotiators must have realized very early in the negotiating process. The EU has secured the Caribbean for their children, while we have given up our children’s inheritance. There are other disqualifying aspects of the trade agreement that are just as damaging. If the Ambassador sincerely believes that the trade agreement is actually in our favour, then if it is found to be as damaging as I have described, would she be willing to allow the region to correct our grave mistake and renegotiate its most damaging aspects?